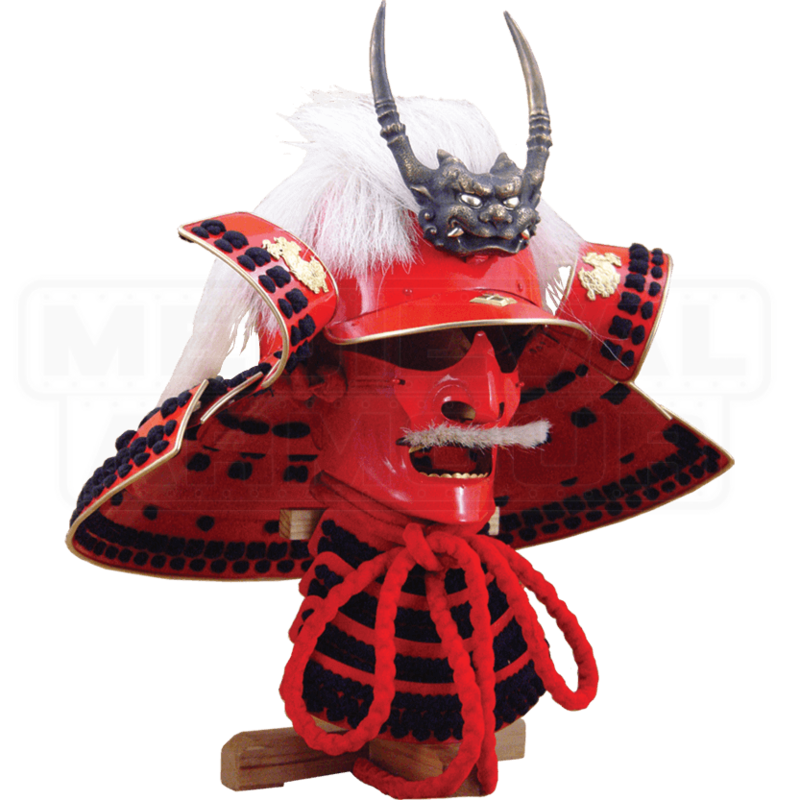 Our Japanese kabuto and menpo are superbly constructed, beautifully detailed and a great value. 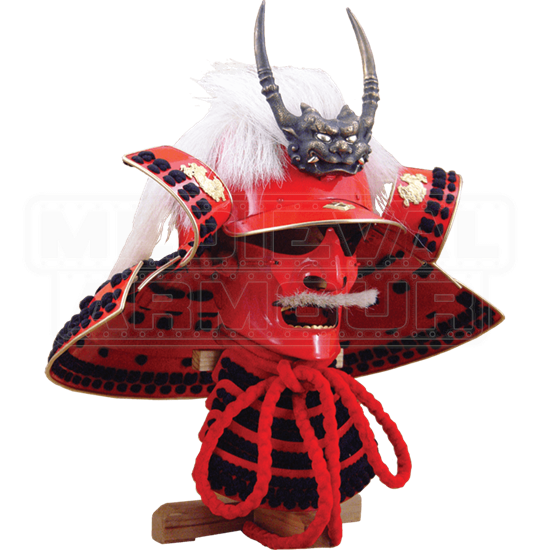 Models AH2082, AH2083, and AH2088 replicate the helms of the great Samurai Takeda Shingen, Oda Nobunaga and Date Masamune respectively. Model AH2081, based on a museum piece of unknown provenance, doubles as an exquisite stand for a katana and wakizashi set. All four pieces are equipped with leather liners (ukebari) allowing them to be worn. Custom-designed wooden display stands are included. The museum-quality reproductions of these archaeological treasures have been hand crafted by the metalsmiths of Hanwei with exacting attention to detail. The helmets are fully wearable and are supplied with a display stand.